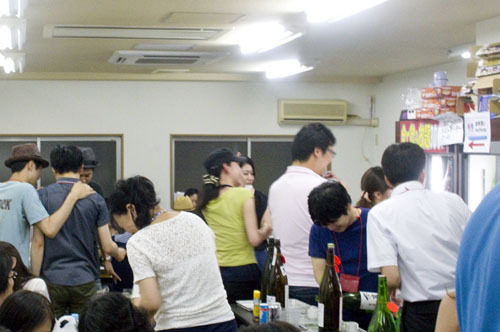 A very casual, all-you-can-drink premium sake bar, Yamachan combines the best aspects of an industry sake-tasting event (lots of varieties freely available, at a reasonable all-inclusive price) and a typical urban sake-tasting bar (a carefully chosen selection of bottles, and chairs where you can sit down). The bar's unique self-pour policy is perhaps the best feature - it means that you can try out little sips from lots of different bottles until you find something you love. 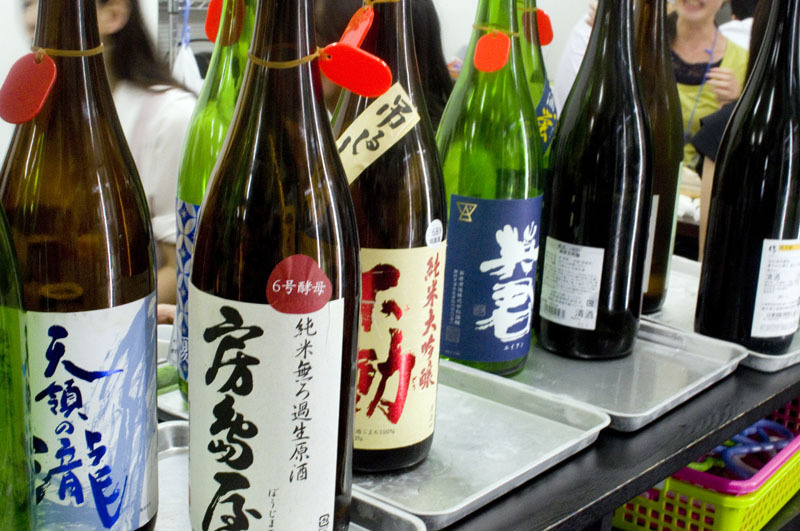 Finding an amazing sake here is just a matter of time, as the collection is stellar - ranging from top-grade offerings from famous labels to hidden gems produced by obscure small breweries. 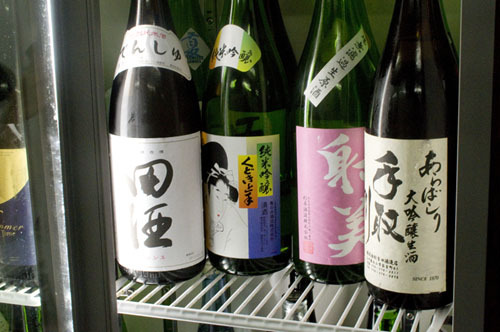 Bottles are lined up in glass-paneled refrigerators, with some sixty choices on the ordinary menu (from which you can drink freely until closing time) plus a handful of super-premium labels that command a small surcharge (Y290-430 per 90ml shot). There are also four or five extra-special bottles of the day, from among which each customer can choose one variety for a bonus tasting during the course of the evening. Note that there is no food served, but you're encouraged to bring your own snacks from a nearby convenience store or grocery, or you can even order pizza to be delivered. Budget Y3240 for all the sake you can drink, plus whatever you wish to spend at the grocery store. Their online reservation calendar can be found at airrsv.net/yamachan/calendar.